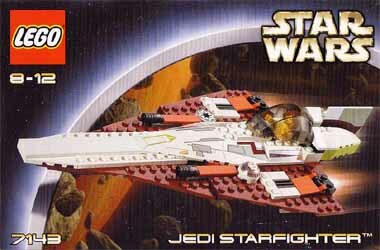 This comes complete with an Obi-Wan Kenobi mini lego figure, as well as an R2 droid - well the top half of one, which fits onto the main body of the model to make it appear that the little unit is patched into the Starfighter's main computer. There are also a further two model suggestions for you to build - in case for some strange reason you get bored of playing with the Starfighter. If you already own other models from this series, this is a worthy addition to your collection. And, if you haven't bought any of these before, this is a great place to start. Another fantastic value for money product from Lego.